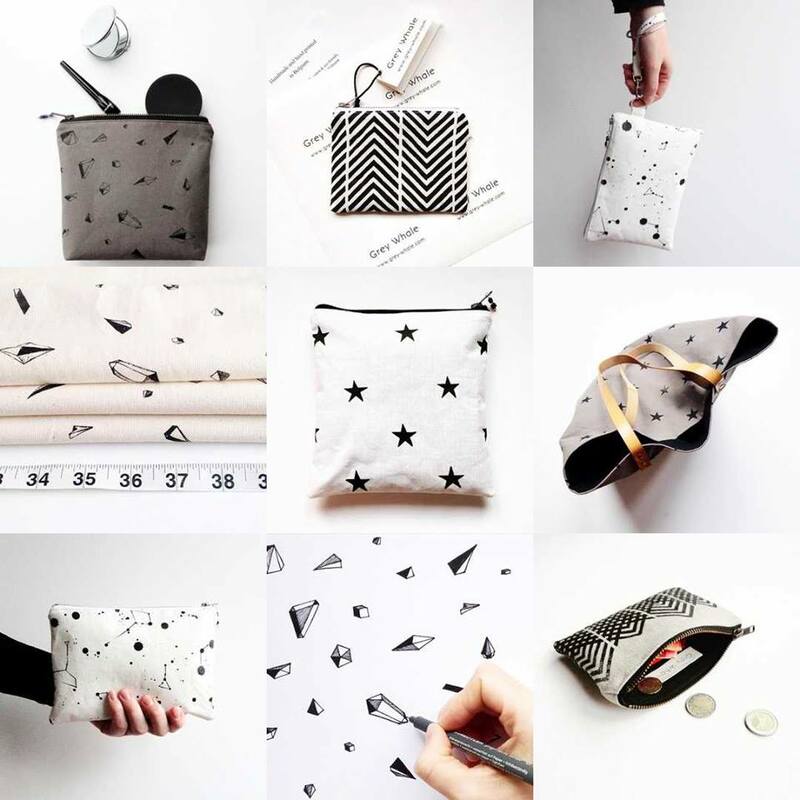 Grey Whale it’s a Bags and pouches brand designed and handmade by Tempy Osborne, from Brussels. I came across her creations on etsy (after browsing without any particular goal for hours … you know what I mean right? ), and I fell in love with her lovely prints and natural fabrics. she kindly accepted to answer my questions so that we have the chance to know a bit more about her and her work. Hi Tempy. First of all and because I’m just sooo curious, can you tell us a bit more on your brand’s name Grey Whale? Is this animal of any particular importance to you? Hello! And thank you for having this chat with me, I’m a fan of your blog as you know. So the name Grey Whale probably seems a little abstract since what I do/the products I make have nothing to do with the sea! But it came about from my wanting to create something that linked my urban life in a stronger way to nature. I feel like it’s easy to forget that we are not separate from ‘nature’ but actually we are such a huge part of it. This is especially true for urban dwellers. So Grey Whale is sort of my metaphor for the city: I see it living, breathing thing. Huge and grey but full of life. 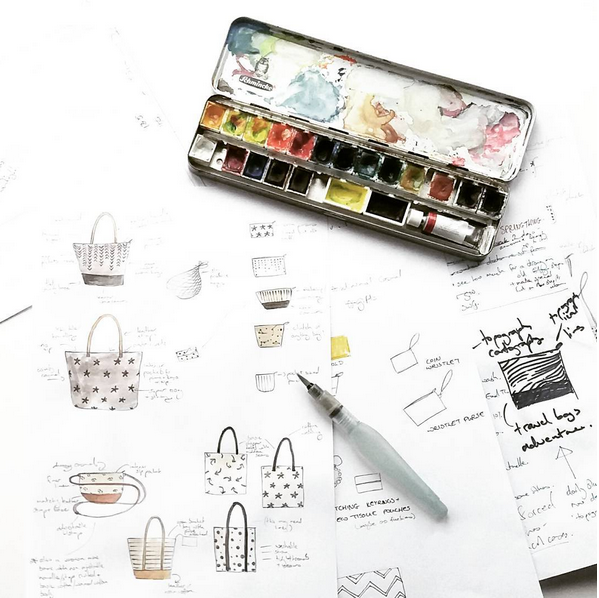 You studied fine arts and told me that you’ve always had a thing for handbags… but how did you ended up deciding to make handbags and pouches for a living? Yes I studied Fine Art Painting at the National College of Art and Design in Ireland but I always had an interest in making interactive art to get people involved in the experience. Also my art work always revolved around ideas of globalization, industry and climate change. So in many ways it is a continuation of the same ideas though in a different medium. One that I hope can reach more people and have a bigger voice in the world. 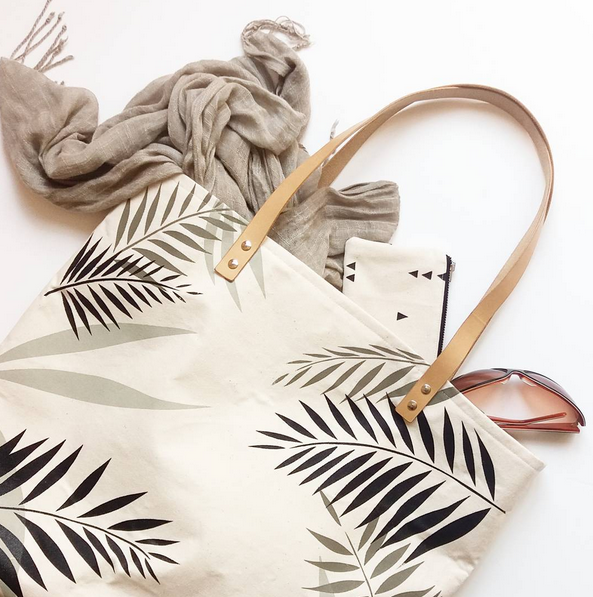 All of your bags and pouches are made from natural fabrics that you carefully choose, just as the printing process that you realise yourself instead of just choosing some already printed fabrics. I’ve also seen that you choose natural material to wrap all your creations when shipping them. This ecological mindset seems to be at the heart of your work, was it the case when you first started? 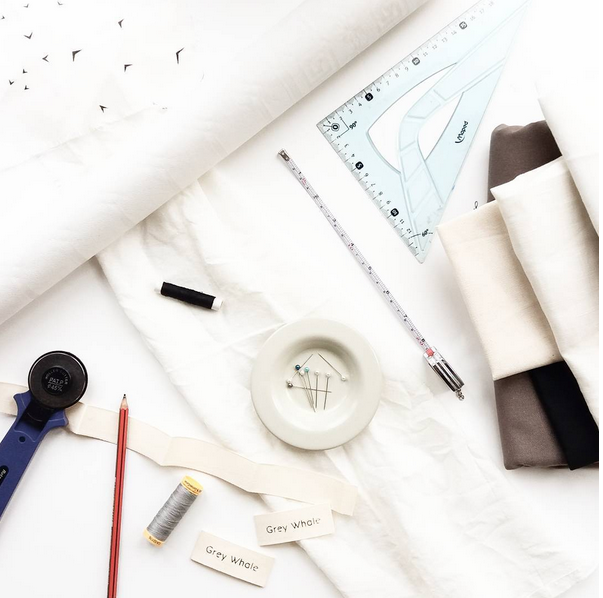 And can you tell us a little bit more about your printing process because I have to say that you’re one of the first designer I met that work on every single piece from A to Z starting from the most raw material possible. I make all my bags in the most eco-friendly way I can manage and am always looking for ways to improve. At the very beginning of my transition from fine art paintings to objects I thought I would use a print on demand service to transfer my art onto various surfaces such as phone covers, cushion covers notebooks, bags and really the possibilities were endless. So I had one plastic phone cover printed with one of my paintings and when it arrived in the post I realized it had come from India yet the company I paid was in the USA. I had no idea of where exactly this object was made, what it was made from and in what conditions it was made. Even the print company I thought was producing the product couldn’t tell me. This was an eye-opening moment and a big concern to me especially since it was around the time that big factory collapses happened in Bangladesh. It really made me realize that we don’t know enough about where the pieces that make up our belongings and lives come from. Did someone suffer to make this? Is the plastic toxic? So I decided not to print another thing this way and that I would find a way to produce what I wanted myself. 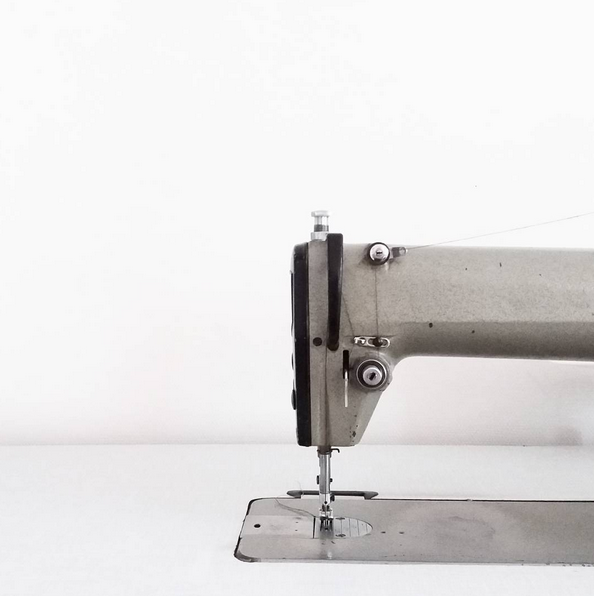 Currently I buy lengths of plain natural fabric that contain no polyester or synthetic fibres. I then print my own designs onto the fabric by hand using the screen-print method with inks that are water based and free from phtalates, solvents and PVC. I also make patterns for all my bags myself so I have complete control over the finished pieces. In this way it is also possible for me to make custom orders for my bags in sizes or with elements specific to the customers needs. From your childhood spent on the Irish coast and in the Canadian Arctic region, you kept a very strong connection to nature which seems to be very present in your creation process as you just explained it.But at the same time, your prints are very modern and urban. How do you mix and find the right balance between those two worlds that are often opposed nowadays? I was raised in very rural settings in places where you are immersed in a natural landscape. But for many years now I have been living in big cities. I think there can be a big disconnect from the natural world and city life and for me I need to remind myself of this connection we all have with nature and simplicity. I think that many others feel the same. So I try to mix simple linear, geometric urban inspired shapes with more natural forms to create the original designs I then print on fabric. 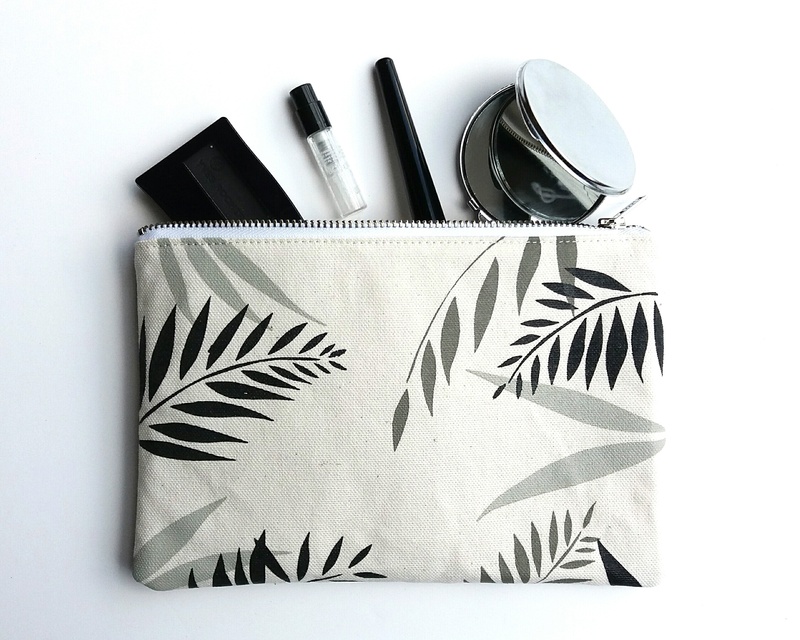 Earlier this year I found myself very lucky to order you a custom-made toiletry bag (you can see it here) in order to match exactly my needs, and I’ve been really impressed by the quality of your work. For those (like me) who are really conscious about consuming less but better, it’s a very important criteria as a lot of thought is put in every buy to get the most sustainable item in the most natural material made in ethical conditions and locally if possible. Can you tell me why this sustainability aspect is very important to you as well? Like you I really want to live in a more mindful way like knowing where the things I buy come from, what they are made of etc. I feel this is a really important time we are in right now where climate change is affecting us all and the poor standards in human working conditions abroad is becoming more apparent. The choices we make now will affect us, maybe not us personally but future generations. It doesn’t have to take a lot of money either to make changes, for example by more of us adopting the simple idea of ‘buy less, choose well’ for at least some of our shopping choices. I think every little effort can help if more of us choose to do it. As I mentioned before you live in Brussels just like me. I am amazed every day to see how Brussels and on a larger scale Belgium are full of talented creators whether it is in jewellery, cosmetics, textile creation, etc. And I know that some of your bags and pouches are sold in some ‘made in Belgium’ concept stores. This local creation has always existed of course but it really seems that we hear more and more about it lately. What do you think about this ‘locally made’ trend? Yes my bags can currently be found in Belgikie (on Rue Longue Vie) and in Orybany (on Rue de Tanneurs) in Brussels and some more shops in Belgium will be added to the list hopefully in the near future. I really love this trend of buying things handmade and produced locally, in fact I hope it’s not just a passing trend but a new-found appreciation for the wonderful goods we have on our doorstep, whatever country you might be in. It makes me so happy to be able to make my bags then walk to the shops to deliver them myself! I really hope with blogs like yours and lots more people spreading the word about the wonderful things made by local designers etc that there can be more of a shift away from mass produced goods and towards the positive effects we can create by choosing carefully. 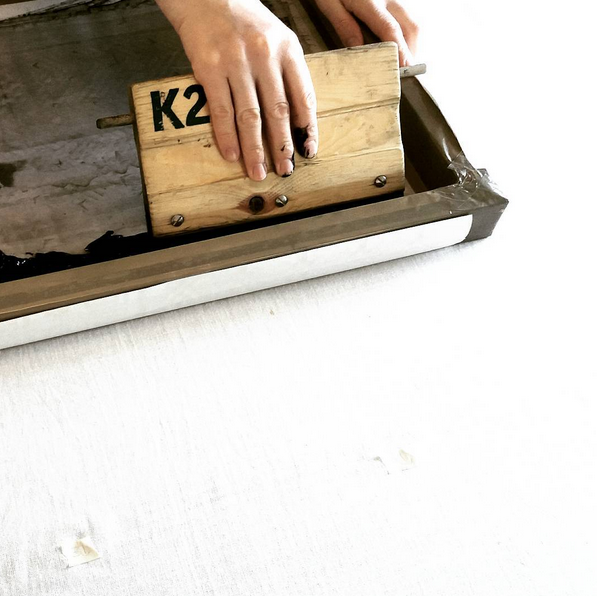 Just some of the benefits are that it helps local economies, keeps handmade processes alive, is more environmentally friendly and creates more caring and appreciation between people which is so important these days especially. I would really like to thank Tempy for taking the time to answer all of my questions and letting us know a little bit more about her? I hope this will make you want to discover her work either in the shops mentioned above, or directly on her website. And guess what? Tempy has even prepared a little gift for you guys, so better check my instagram to enter this giveaway and have a chance to win this lovely pouch.